Dr. Michael Budincich, more commonly known to his patient's as "Dr. 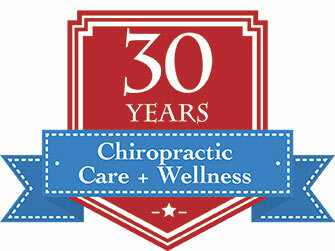 Bud", has been a full time Doctor of Chiropractic for over three decades. It was the hand of destiny that drafted the course of Budincich's professional life. His initial career path was to be a dentist and he pursued that goal with the help of a Track and Field scholarship at USC. Looking back, Budincich says, "It was a life changing experience that altered my focus." During heavy training as a shot-putter and discus thrower, he suffered a back injury which seriously compromised his athletic career. Budincich committed himself to an intense program of traditional physical therapy for over one month with USC athletic trainers to no avail. He became quite anxious, a significant competition was looming and his injury was still not healing. In desperation, Budincich sought the advice of his coach, Vern Wolfe, who then drove him to a chiropractor. The results Budincich experienced were amazing. After just three treatments he felt well enough to compete and placed third in shot put and discus events the following weekend. A week later, Budincich, who was just a freshman, beat a senior from UC Berkeley placing first in a PAC 8 Conference Duel breaking his lifetime best. The speed of his recovery and resulting athletic achievements has had a long lasting effect on Budincich's life. These extraordinary events motivated him to redirect his focus from pursuing dentistry to becoming a chiropractor. Budincich says, "If I had remained injured I would have probably lost my scholarship and subsequently never earned my degree." In a demonstration of gratitude for his good fortune, Dr. Budincich has chosen to follow in the footsteps of the chiropractor who helped him while he was a competing athlete. Now, decades later, Dr. Budincich provides free chiropractic exams and care to athletes at several schools and Universities including USC, Pasadena City College, Crescenta Valley High School, Temple City High School and Marshall Fundamental High School. Budincich says, "This is the kind of profession that continues to inspire you because it works! And, it works without drugs." The ultimate recognition for Budincich is watching students who he has treated go on to become chiropractors. Four of his patients are now Doctors of Chiropractic. Dr. Bud is a member of the American Chiropractic Association and California Chiropractic Associations. He is a founding member of the Academy of Forensic and Industrial Chiropractic Consultants (FAFICC) and has held elected offices within the local, county and state chapters of the California Chiropractic Association for many years. Additionally, Dr. Bud is a state appointed "Qualified Medical Examiner" and a past examiner for the California State Board of Chiropractic Examiners, the state's licensing body.